Gina Gallo (right) fixes me with a gaze that is bold and confident, yet warm and open. Her hair is swept back in a working-day pony-tail, and her piercing blue eyes are vivid and intent. “Pinot Noir” she says at length, having mulled over the question of what was her personal favourite wine. It is a confession of sorts, following her revelation that a love of Zinfandel is a Gallo family imperative, stretching all the way back to her grandfather Julio and his brother Ernest. I am in California on a mission that was almost impossible to refuse: to investigate two utterly contrasting sides of one of the world’s biggest and best-known wine companies, and to take a glimpse behind gates that normally stay firmly locked from journalistic eyes. The story begins north of San Francisco in Sonoma, the smaller, quieter, and some would say prettier valley that runs parallel with the Napa and produces some of California’s finest wines. Here, Gallo has established a premium winery based around a number of high quality estate vineyards. We will end up a hundred miles or so south, in the baking heat of the Central Valley, where the “Livingston Plant”, the world’s largest winery, promises a very different wine producing experience. Gallo Sonoma is a company within a company. 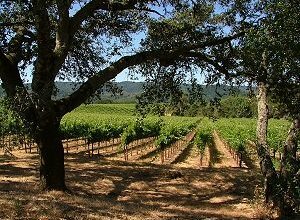 Over recent years, Gallo has been quietly but steadily acquiring more and more prime vineyard land in Sonoma, to ramp up production of fine wines, including single vineyard estate wines being made to compete with California’s best. In charge are Gina, as winemaker, and her brother Matt, in control of vineyard operations. Gina and Matt are the third generation members of the Gallo family, charged with key roles in taking this global business empire forward. But for now, their interests – outwardly at least – seems to be focused on the vines and the land. After a different time-zone fuelled 6.00am breakfast in the Hotel Healdsburg, I take a stroll around the almost deserted streets, ruminating on how much bigger and more prosperous this town at the gateway to the Sonoma Valley is today, when compared with my last visit some 12 years earlier. Sonoma has largely escaped the media and tourist glare of neighbouring Napa, yet much of the area’s expansion has been fuelled by the wine industry, raising fears that perhaps the wine roads I would be traveling later that day would not be the quietly meandering country pathways of memory. The sun-filled Dry Creek wine road is pretty much as I remember it: largely unspoiled and deserted, with only the odd more commercial winery openly touting for passing trade, and most of the famous names hidden behind hedges and discreet signs marked on the side of blue-painted mail boxes. First stop on a packed itinerary is the Frei ranch, shown left. The Frei ranch vineyards hold a special place in the hearts of the Gallos. Gina’s grandfather began buying fruit from the property back in 1934, and in 1977, purchased the ranch, the first Gallo-owned estate in Sonoma. It is a lovely rolling sweep of countryside first planted to vine in the 1880s, and dotted with lakes and patches of natural forest. 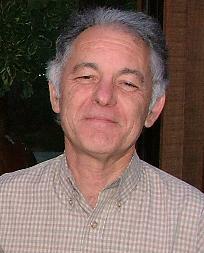 The purchase of the ranch was the beginning of Julio Gallo’s dream to make premium wines in Sonoma. But this was no thumbing of the nose at the wine world; no grand gesture to say “look what we can do”. Neither was it, as some people believe, simply a marketing ploy to add luster to Gallo’s bulk wine operation: it becomes clear in talking to the family that there was, and remains, a much more deeply-held ambition to create wines that fully express these beautiful vineyard sites. This natural balance of all the Gallo ranches I visited is entirely due to a policy of the Gallos, referred to as “50/50 giveback”. 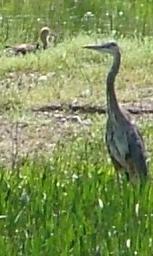 50% of any land the Gallos hold in Sonoma is not farmed, but left or returned to natural habitat. In Frei’s case, this included the formation of lake Eileen, which looks as if it has been there forever, fringed by native forest, dotted with waterbirds and criss-crossed by dragonflies.Whilst driven by a love for the land, this policy is also a shrewd and ecological move: the natural habitat encourages a whole eco-system of plants and animals which are beneficial to the vineyards. Red-tailed hawks have been encouraged to roost, and effectively control the population of starlings and other fruit-eating birds for example. 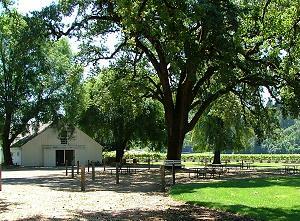 Frei ranch also houses Gallo’s Sonoma winery, dedicated to the production of wines from all their vineyards in the region. Built only recently, it is a state-of-the-art facility that can handle volumes way above the “boutique” level. With 24 presses at their disposal (many large wineries have two or three) and a 50,000 barrel cellar, the winery gives the lie to any accusation that Gallo Sonoma is just window dressing. This is a serious investment in some serious vineyards and technology, yet my visit to the main plant in Livingston will make it seem like a garagiste operation in comparison. Gina points out the gently curving bends in all of the winery’s pipework. Grapes and musts are moved around the winery without encountering elbows and sharp angles, so that fruit is not bruised. Receiving conveyer belts allow sorting of bunches, before they are carefully delivered to the waiting tanks and presses. Frei Ranch’s 283 acres are planted to Cabernet Sauvignon, Syrah and of course Zinfandel, for which it is most famed. 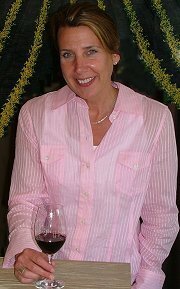 Zinfandel was the favourite variety of the 1st generation Gallos, and I ask Gina if the perception of Zinfandel as a sweet, confected “blush” style upsets her. “Not at all”, she says. “of course I would love it if some of those blush drinkers learned what Zinfandel can do, but it was the vogue for blush that saved Zinfandel as it became less fashionable: without it, we wouldn’t have the legacy of wonderful 60-year-old vineyards that we have today”. Next stop on our tour is the Laguna Ranch, which produces fruit for both the Laguna Ranch Chardonnay, and Gallo’s flagship white, the Estate Chardonnay. We stop by another peaceful lake to enjoy a glass of the latter, a buttery, quite Burgundian wine with good balance and depth. We also meet up with Marcello Monticelli (right), a real veteran Gallo winemaker and family friend, who works closely with Gina and who has been with the company for decades. We discuss the experimental section of the vast barrel cellar, where 100 lots of four barrels are set aside for the winemakers to experiment with small batches representing different clones, blends, picking dates and so on. Next day our final stop on this mini-tour is the newest Sonoma property in the Gallo portfolio, the MacMurray Ranch. The long-time family home of Hollywood actor Fred MacMurray, the ranch was sold to Gallo by the MacMurray family in the late 1990’s. MacMurray had raised prize-winning Aberdeen Angus cattle on the ranch, and though a few steer still remain, the land has been planted to Pinot Noir and Pinot Gris. This is prime Pinot country, in the heart of the Russian River, with Rochioli and Gary Farrell as neighbours. The MacMurray Pinot Gris is delightful, limpid stuff, whilst the Russian River Pinot Noir shows terrific class already, with great potential as the vines gain more age. MacMurray is a beautiful property. Rolling hills and white ranch fencing stretches in every direction, in a landscape dotted by ancient oak trees (“never fell a tree that is older than me” was another policy of Julio Gallo, to which the family sticks). The old MacMurray homestead has been restored for corporate entertaining, and is an enchanting setting set on a broad pasture surrounded by the vine-clad hills. We happen to bump into Kate MacMurray, daughter of Fred, in a Healdsburg restaurant that night. Kate tells the story of how her father’s wish was that his beloved ranch should only be sold to a family. He also stipulated that the family should retain all the properties boundaries and continue to farm the land. Gallo may not have been the sort of family he had in mind, but they have followed his wishes to a T, and Kate MacMurray now lives on the old guest cabin on the ranch (a regular favourite of John Wayne, a close friend of the family) whilst acting as roving ambassador for the wines. In Sonoma, everyone we meet is dressed in Wranglers and working boots, without a stiff white shirt or Blackberry in sight. Clearly Gallo has the scale and resources to do things the way it wants to here, but spend a couple of days walking around these vineyards and chatting to the men and women who have worked this land for 20 years or more, and it is easy to see why Sonoma holds such a special place in the Gallo family’s hearts. This enormous company – producing 60 million cases per year and accounting for one in four of every wine sold in America – still buys Zinfandel from one farmer of just half an acre, who started with them in 1942. Gallo Sonoma seems to be driven by a passion and genuine affection for the land. It is the product of Gallo the family, more than Gallo the global corporation, and is perhaps the third generation’s unbreakable link to what fired their grandparents dreams 70 years ago. Modesto is a large town two hours driving south east of San Francisco, and a gateway to the Sierra Nevada and Yosemite National Park. This is the Central Valley, one of the great agricultural areas of the Western USA, growing almonds, apricots, peaches and of course, grapes. Modesto is, to an extent, a company town. Gallo is the biggest employer, with 3,000 of Modesto’s population directly employed at their various facilities, plus many more employed indirectly in the service industries of the town. The Gallo headquarters is a sprawling estate; basically a mini-town referred to as “the Campus”. Indeed, the parkland setting complete with roaming peacocks is popular with locals, who are free to walk the miles of paths and woodland. Gallo is a significant benefactor to the community, endowing chairs at the Merced campus of the University of California, and building a brand new theatre in the centre of the town at the time of my visit. Gallo was the number one wine company in the world in terms of sales until the takeover of Australia’s BRL Hardy made Constellation Brands, a US-based producer whose brands include Paul Masson and Arbor Mist, the world’s biggest. In some ways this must be a relief for Gallo, giving them both something to shoot at, and some relief from the media’s fixation with “tall poppy syndrome” – though Vice President Gallo International, Jeff Bland, can’t help but point out that the company inches Constellation into second place in terms of production volume. For 50-odd years Gallo had grown its business organically, with no acquisitions other than land. But there has been a fundamental shift in the way Gallo does business in recent years with numerous international partnerships, and a steady stream of very interesting acquisitions. A fascinating project is Red Bicyclette. Made in the Languedoc, Gallo’s project is going full steam ahead, even though an attempt by Mondavi to set up a Languedoc operation faltered an died. These cleverly marketed wines are set to introduce a whole new sector of US wine drinkers to southern France. Given Gallo’s track record for pressing the right consumer buttons, I predict this will become the best selling French wine in the USA. Gallo sells a large volume of Italian wine under the Ecco Domani label thanks to a partnership with CAVIT of Trentino, for example, and it’s Black Swan label does the same for Australian wine in the US. Gallo’s more recent partnership with McWilliams has seen another substantial investment in Australia. Recently, the company has purchased the historic and highly regarded Louis M. Martini Winery, Gallo’s first venture into this prestigious Cabernet-growing Mecca that is the Napa valley. Gallo is investing heavily in the Martini operation, creating a state-of-the-art bespoke winery for premium Cabernets. I visit the Gallo “campus”, which contains the bulk of the administrative offices, as well as various technical and creative departments. At one end is a huge warehousing and bottling facility. Much of the warehousing work is managed by robots, including the tractor robot (shown left) which steadily, quietly and rather eerily, plods away, running around the warehouse to lift, carry and drop pallets of wine in precise positions without a human being in site. Protected by ear-plugs, safety glasses and hard hats, a visit to the bottle-production facility was absolutely fascinating. Even though this was a tremendously hot and noisy environment, I confess I could have lingered for hours watching the huge machine blow glass and throw out red-hot bottles with astonishing speed and hypnotic rhythm. The plant can produce two million bottles per day, which given Gallo’s 60-million case annual production, is just what is needed. Next day, it was back on the road to travel another 40 miles or so south across the dusty roads that carve through the Central Valley, bringing us to the town of Livingston. 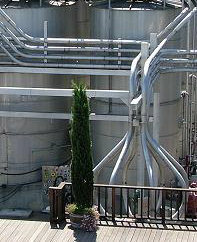 Close by lies the main Gallo winery, or “plant” as it is referred to, giving a clue to its industrial proportions. Hoving into view, the Gallo plant – the world’s biggest winery – is like no other winery I have visited – and I’ve been to some huge wineries. “Many people around here think we are an oil refinery” says Production Manager John Paradiso and it’s not hard to see why. Serried ranks of massive, two hundred thousand-gallon tanks tower over the surrounding countryside, in a compound ringed by security fences. Everything here is on a massive scale, which it has to be with 10,000 tons of grapes per day being crushed at peak season, before slowly making there way towards no less than 17 bottling lines. The plant is sophisticated to the nth degree, with systems in place to process dozens of different wines quickly, economically and efficiently. Nothing is wasted, with tartrates recovered and recycled for industrial use, and a roasting facility that takes off-cuts from barrels to produce wine-making oak chips. Head Winemaker Cal Dennison had just returned from a trip to Florida, to look at how the fruit juice industry is using technology to improve their production, in a continual quest to streamline the business further. Turning Leaf and other inexpensive brands for the domestic market are made here, like the famous Gallo Heart Burgundy (curiously, and off-dry Zinfandel blend which is still immensely popular). There is no doubt that this is industrial-scale winemaking. There are eight full-time winemakers, but one senses it is the project managers and engineers that really drive this facility. Wines are pumped for hundreds of feet and processed with ruthless efficiency. It is simply a fact that like all the world’s biggest brands, these wines must be pretty heavily manipulated to achieve Gallo’s consistent and commercially successful results. The product is high quality commodity wine, far removed from the single vineyard labels of Sonoma, and possibly not the wines that readers of this page will buy. If this was Ford motor company, these would be the Fiesta’s, built to a price and unlikely to stir the souls of enthusiasts, but doing what they do very, very well. I have no photographs of the impressive Livingston facility, because on arrival mobile phones and cameras had to be deposited. That may sound like Gallo has something to hide, but in fact my visit – part of a small party of UK wine magazine editors – was the first by European wine journalist to this facility; a sign that whilst Gallo may remain sensitive about how its operation is perceived, they no longer feels the need to shut out the world. The rolling hills of Sonoma and £50 bottles of Estate Cabernet may be the finery that Gallo dons to show it can step out with the best of them, but Livingston is the stripped-bare naked truth of a hugely successful family company. Gallo simply gets it right where it matters: in the hearts and minds of “ordinary” wine consumers. Complacency is still seen as an enemy, and in a chat with Tom Smith, Vice president in charge of wine growing, I hear of extensive experimentation, including plots of Portuguese and Spanish grape varieties, and how even the basic recipe for their most important products like Turning Leaf has altered with the times, with less oak, reduced malolactic fermentation, and an attempt to let the quality of fruit show through. As wine enthusiasts, you and I may not be buying Turning Leaf for our own tables, but only a zealot would deny there is a place for mass-produced commercial wines of consistent good quality. The produce of Livingston will not set the wine-lover’s world on fire, but very few consumers would trade the satisfaction such brands can offer for a return to the uncertainty and frequent disappointment that was inexpensive wine a generation ago.